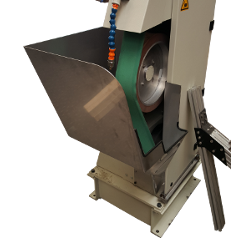 The belt grinding stations of the series BSS are designed especially for use with robot machining cells. 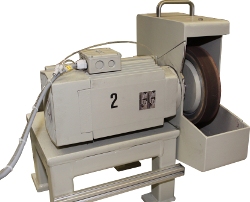 Different polishing stations can be integrated into robotic grinding and polishing cells. 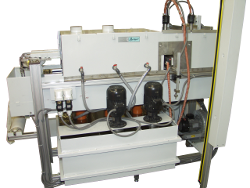 The grinding stations of the series SS are employed in robotic grinding and polishing cells. 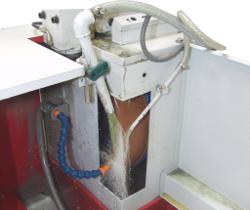 The coolant installations can be combined with grinding machines or robotic processing cells. The design depends on the requirements. 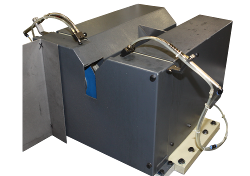 A cleaning system can be integrated into a robotic grinding and polishing station for cleaning and drying individual workpieces. 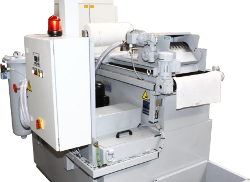 The robotic cells can be equipped with different kind of magazine systems depending on the shape of the workpiece.